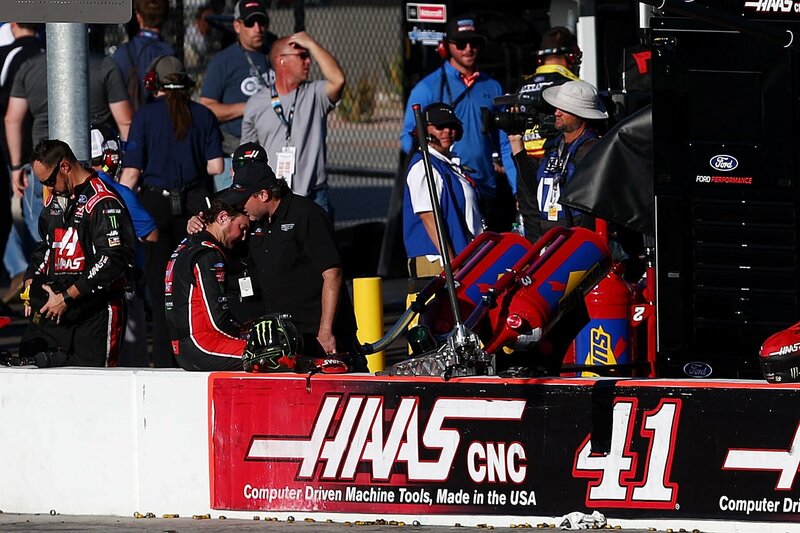 Kurt Busch finished 4th in stage 1 at ISM Raceway in the Monster Energy NASCAR Cup Series event on Sunday. Toward the end of stage two, Kurt Busch was the leader. At the same time, Clint Bowyer suffered a flat tire and brought out the caution. Kurt Busch led the field to pit road. Unfortunately, he gassed it up at the pit road entry. He didn’t speed on pit road. But, he did pass the pace car. Busch was set to restart the race in 9th. He was on new tires with everybody in front of him on old tires. However, passing the pace car when coming to pit road is a violation. Kurt Busch restarted at the back of the field. With 49 laps to go, Kurt Busch elected to say out on old tires. That was a quick way of re-claiming the lost track position from the earlier penalty. On the green, they ran three wide for the lead. Denny Hamlin nearly cleared them all on the bottom. Off the corner, he thought he was clear. Instead, Kurt Busch was hanging on his right side door. Hamlin got loose and then chased it up the track. The #11 driver of Hamlin used the whole track to collect it hut he again, wasn’t clear. That pushed Kurt Busch into the outside wall. They banged fenders down the back stretch and scraped the outside wall. Kurt Busch eventually turned Hamlin in front of the field. Busch, Hamlin and Elliott all suffered heavy damage. “Erik Jones was on my inside when we restarted and I just wanted to make sure I didn’t slip through the new [turns] one and two,” Kurt Busch stated after the race at ISM Raceway. “Me and Kurt spoke at the plane and shared a beer afterwards. Got nothing but respect for him and his guys. We will head to homestead and try to finish off strong,” Hamlin concluded. The penalty on pit road placed Busch in a position of desperation. Busch isn’t knocking the penalty, he was just unaware of the rule. 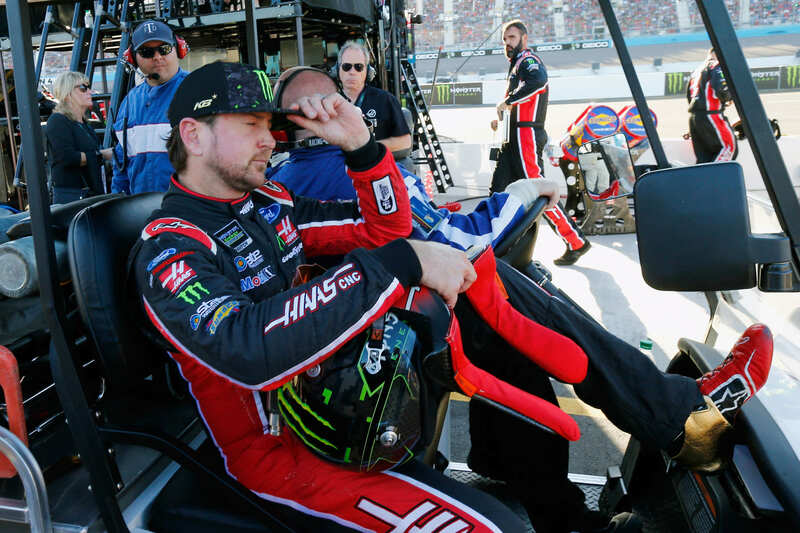 Kurt Busch called it a day at ISM Raceway and took it to the garage area. The championship 4 field is now set following the race at ISM Raceway. Kurt Busch will not be a part of the battle in Homestead-Miami. The #41 driver still lacks concrete plans for 2019 and he’s currently under a 1-year contract with Stewart-Haas Racing. Busch stated earlier in the week that he had ‘nothing to announce’ and that he was ‘still working on some things’. After climbing from the car, his car owner Tony Stewart came over. They engaged in a long embracing moment on the pit wall. “Ah, he was just helping me out as a driver/owner,” Kurt Busch explained. “I only see what happens from the inside of the car,” Busch concluded.